Harry Connick, Jr. has exemplified excellence in every aspect of the entertainment world. The newly 50 and multi-talented musician, singer and actor has received recognition with multiple Grammy and Emmy awards as well as Tony nominations for his musical performances, his achievements on screens large and small, and his appearances on Broadway as both an actor and a composer. 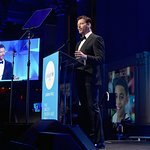 To celebrate all of these successes, the Hollywood Chamber of Commerce selected Harry Connick, Jr. to receive a star on their celebrated Hollywood Walk of Fame as part of their Class of 2018 Honorees. Harry has done some of his most important work in helping his native New Orleans rebuild after the devastation of Hurricane Katrina. Harry’s contributions to the post-Katrina effort have been acknowledged with a Redbook Strength and Spirit Award, honorary degrees from Tulane and Loyola Universities, a 2010 National Building Museum Honor and the 2012 Jefferson Award for Public Service. Harry and his wife of 24 years, former model and cancer survivor Jill Connick, have three daughters, Georgia, Kate and Charlotte. 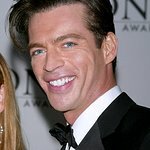 Harry Connick Jr. joined community projects in New Orleans following the 2005 Katrina hurricane, including painting a new house in the “Musicians’ Village”, a new development he conceived with saxophonist Branford Marsalis. Google trends for "Harry Connick Jr."
We don't have any videos related to Harry Connick Jr..